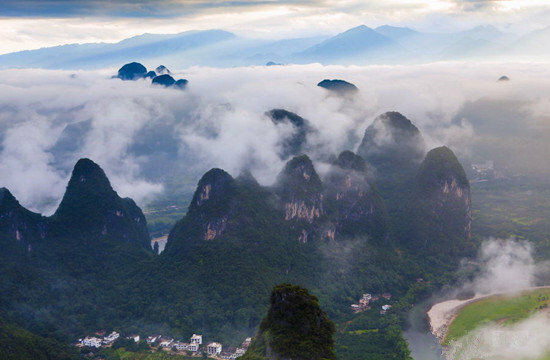 The Tunnel Hill (Chuanshan Hill, 穿山) is situated in the southeast of the Guilin City. 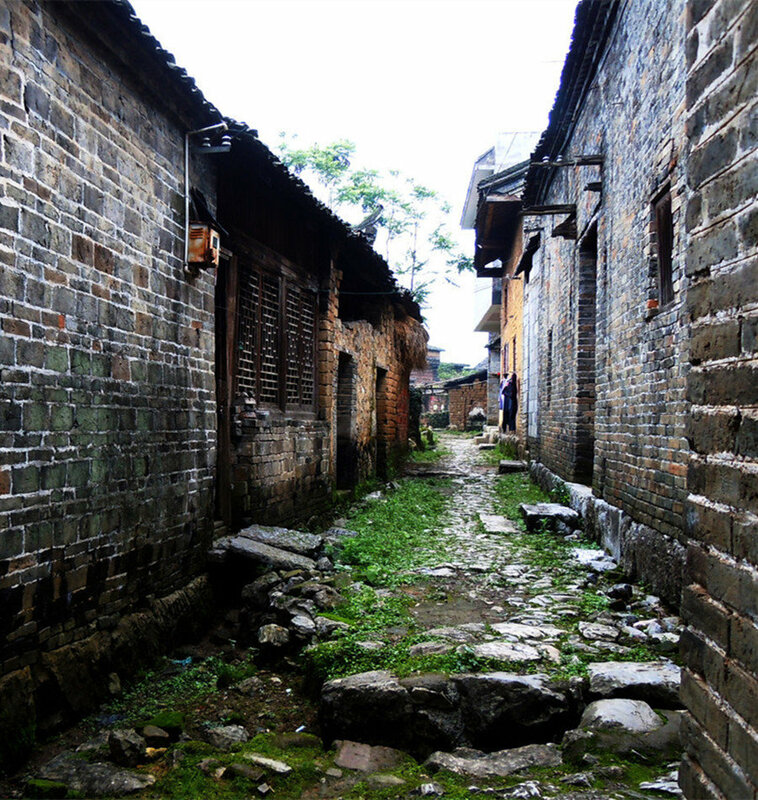 It took its name from a cave which extends through the hill from north to south. 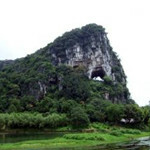 From a distance, the cave looks like a full moon. 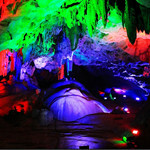 Therefore it is also known as the Moon Cave (月岩). 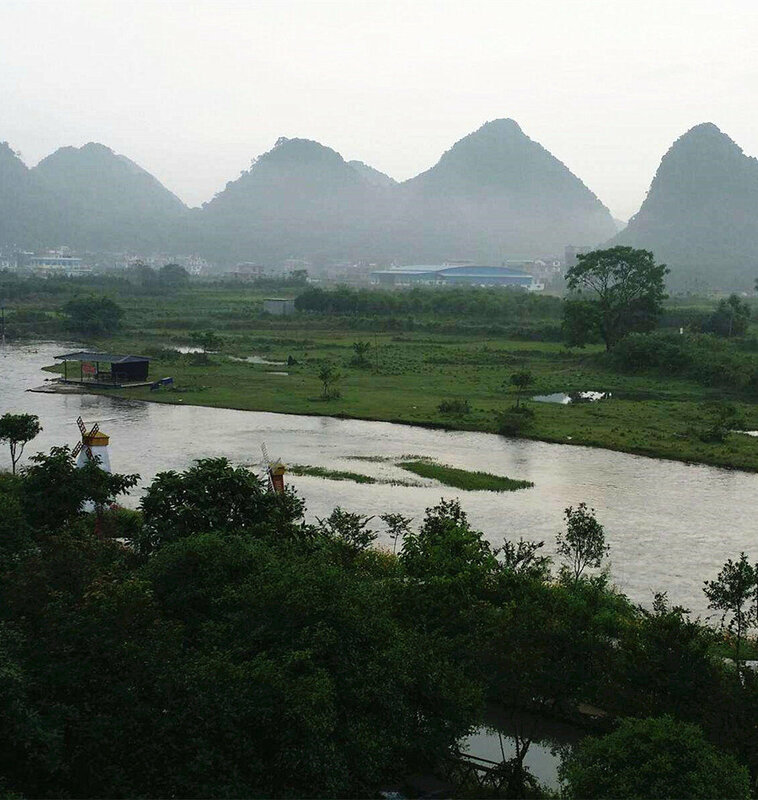 The cave is located at the foot of the hill and boasts crystal needles, stone twigs, and stone goose feathers that are seldom found in the more famous Reed Flute Cave (芦笛岩) and the Seven-Star Cave (七星岩). 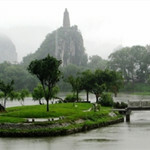 Xiao Dong River (小东江), a tributary of the Li River winds through the park. 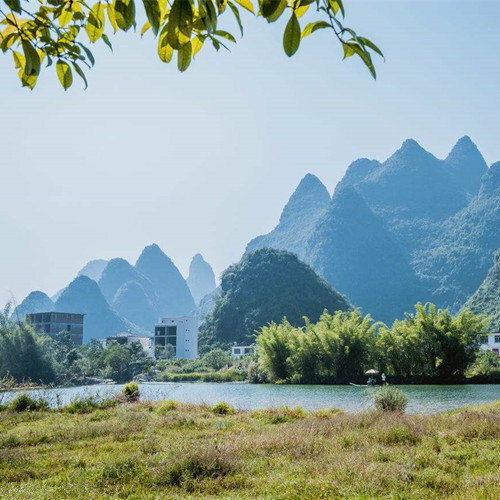 Situated south of the city and on the east bank of the Li River, the Chuanshan Hill Park (穿山公园) covers an area of 2 square kilometers with the Chuanshan Hill as the axis. 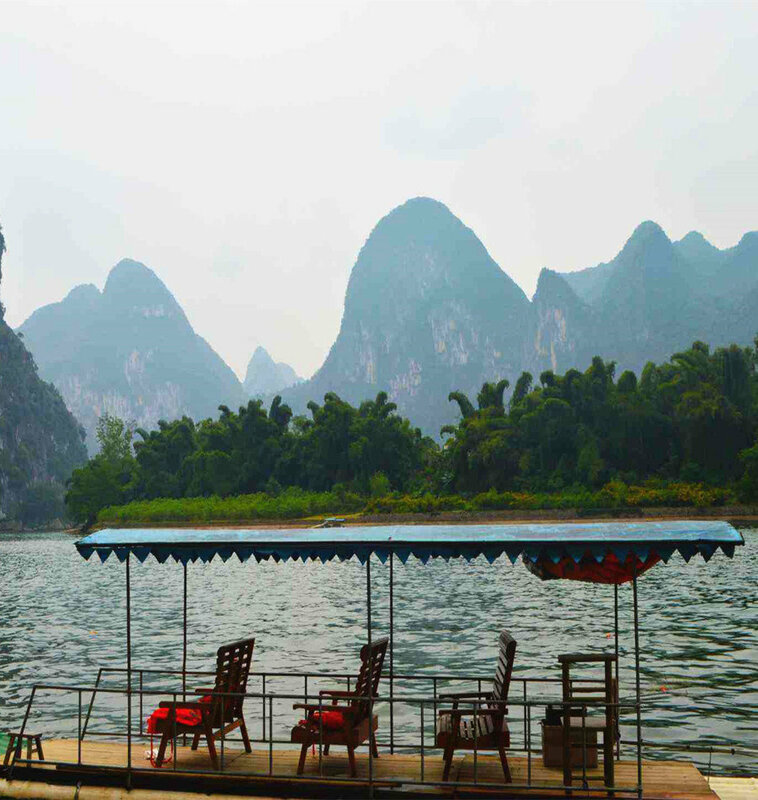 It faces the Elephant-trunk Hill across the Li River and stands against the Turtle Hill (龟山) on the west bank. 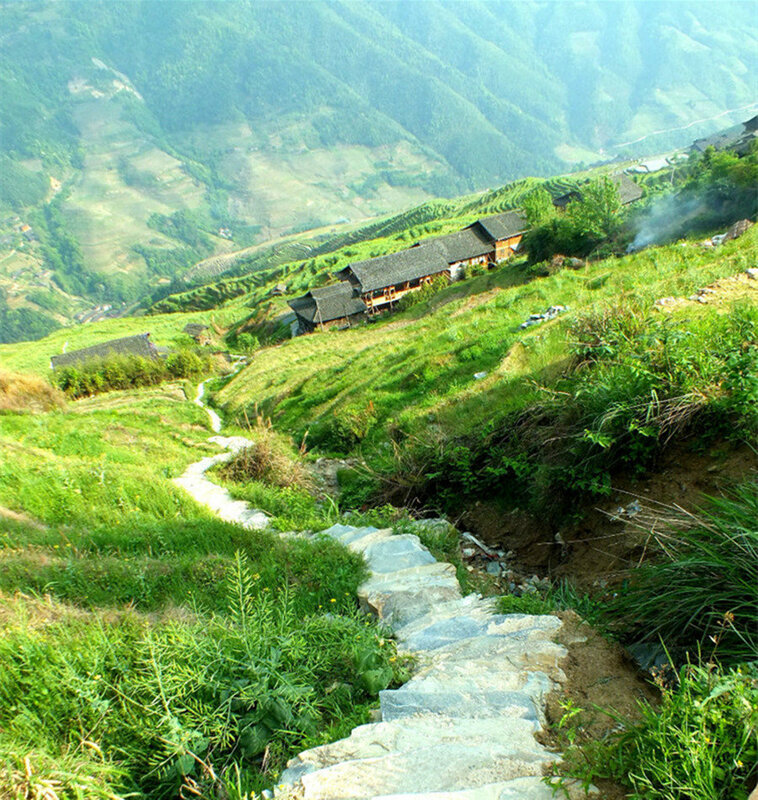 Two hills look like two fighting roosters, hence the name Rooster-fighting Hills (斗鸡山). 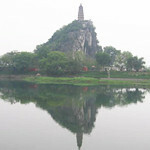 The Tower Hill (塔山) is in front of the Chuanshan Hill with Shou Fo Pagoda(寿佛塔) from the Ming Dynasty(1368 – 1344) on the top. 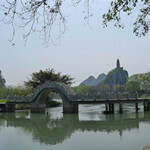 The Xiaodong River runs between the two hills presenting picturesque reflections on the water.